L'Orchidee colors and lifts the complexion with an easy-to-apply luminous veil that can be endlessly adjusted. With just one sweep of the brush, the complexion is illuminated and evened out with an incredibly light healthy glow. Texture - Ultra-light and ultra-fine, melt-away, soft and silky powder. 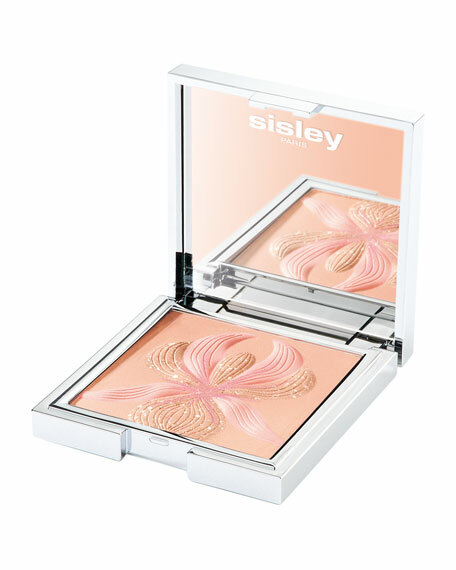 Directions for use - Apply with the Sisley Blush Brush. Take up a small amount of powder and tap any excess onto the back of your hand for a subtly nuanced make-up effect."